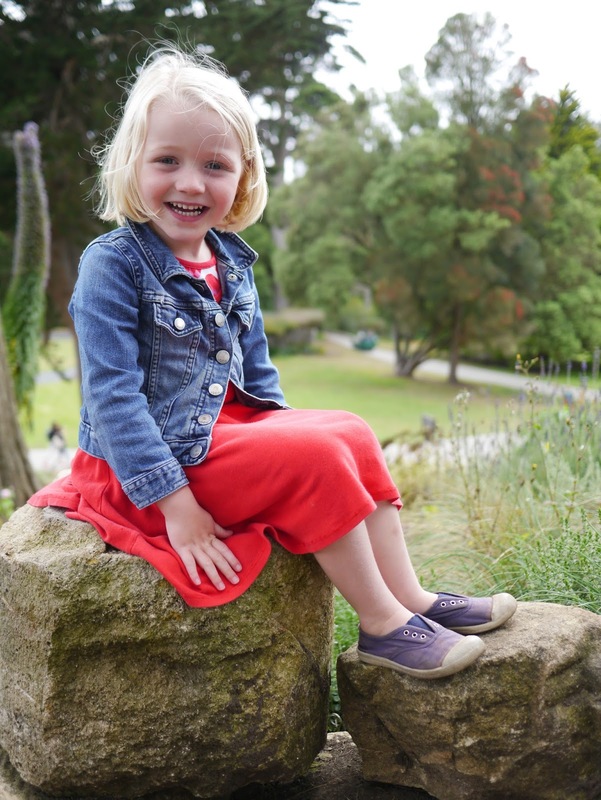 Today the girls and I headed into the city to get a little culture in the Botanical Gardens. Right now (and for just a few more days), San Francisco Botanical Gardens is home to twelve pianos as part of Flower Piano, an installation by Sunset Piano. 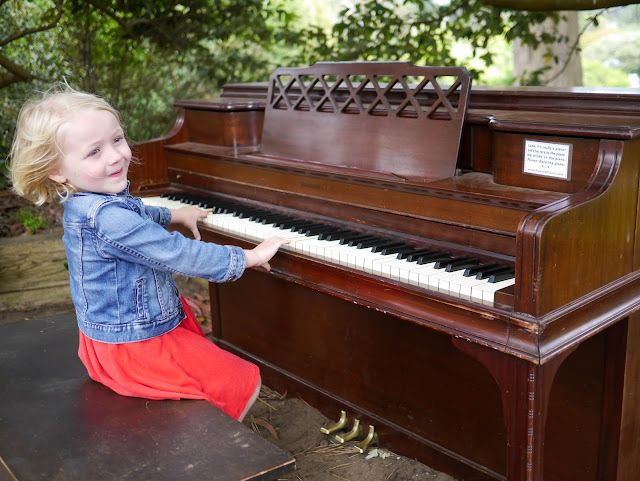 The twelve pianos have been placed in various locations around the park and are available for visitors to play. How cool is that? 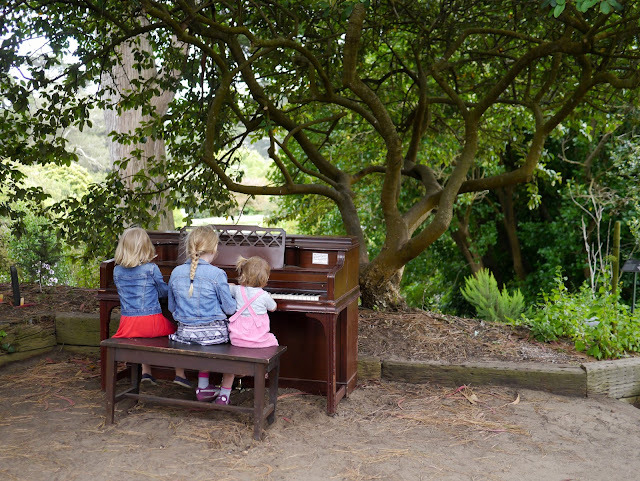 Now, the girls and I are not particularly musical and couldn't play a note to save our lives, but we just couldn't pass up the chance to have a little piano playing fun in the garden. I mean, it's not every day you get the chance to play piano (and I use that term very loosely!) 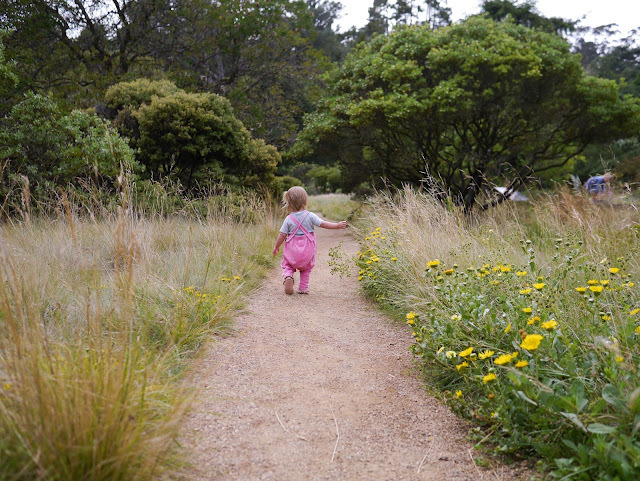 surrounded by redwoods, under a giant New Zealand Christmas Tree, or surrounded by Californian wildflowers. Well, we got to do all of that today (and more) and it was so much fun! The twelve pianos are marked out on a map which is available at the entrance. 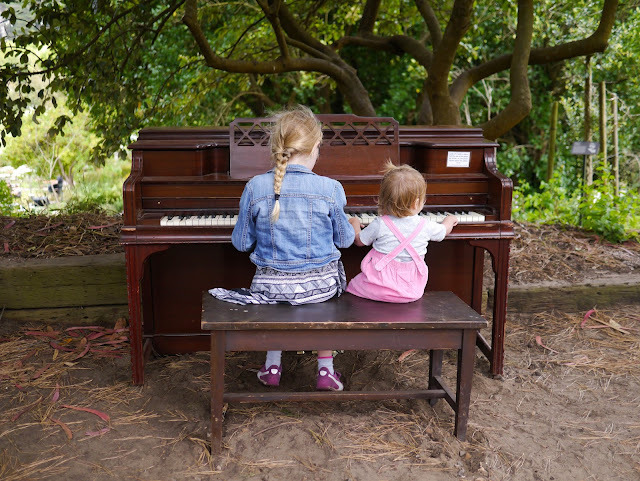 We tried our best to find (and play) all twelve pianos but ran out of time after finding just nine. The girls weren't bothered though. Ava had originally said that she would be happy if she just found two. I think the girls thought that the pianos were going to be hidden under piles of leaves or something! 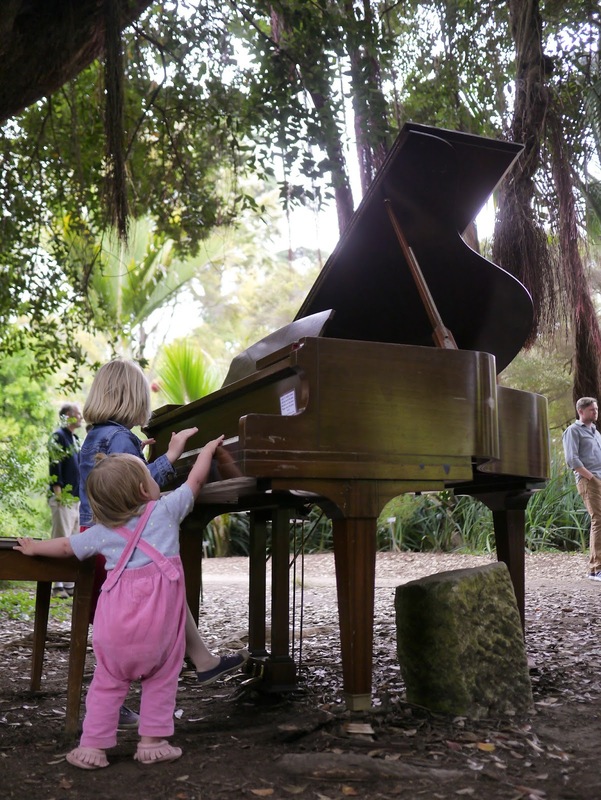 It wasn't super busy at the Botanical Gardens during our visit, but the pianos were very popular so we often had to wait a little while before it was our turn to play. 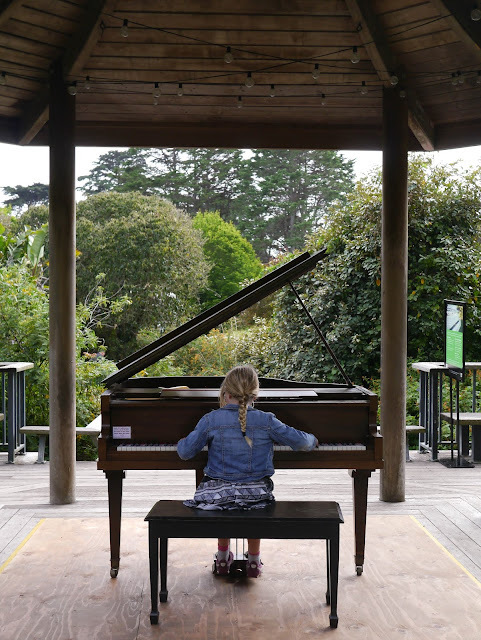 It seemed that everyone else in the gardens today was a concert pianist (or at least could play more than chopsticks!) 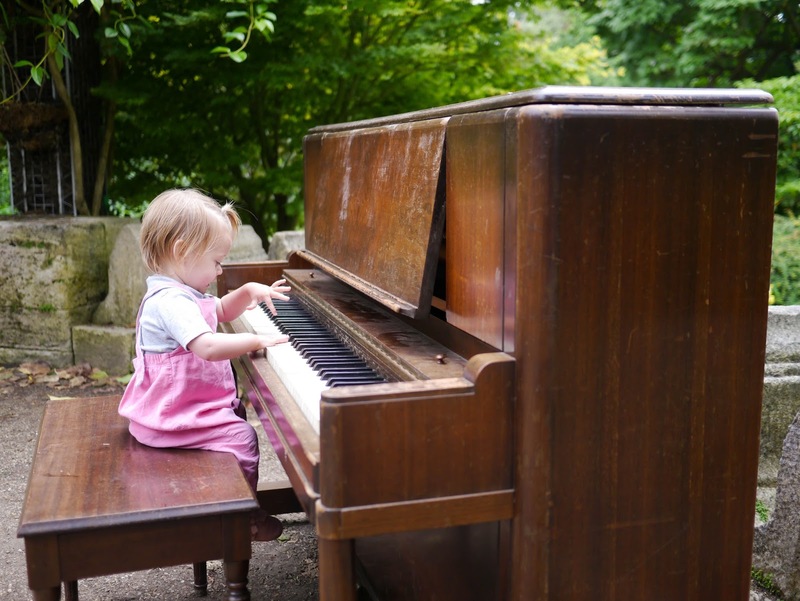 so while we waited our turn we were treated to some beautiful music. The girls danced to some great honky-tonk tunes, sang along with some chart toppers, and played conductor for a few classical pieces. 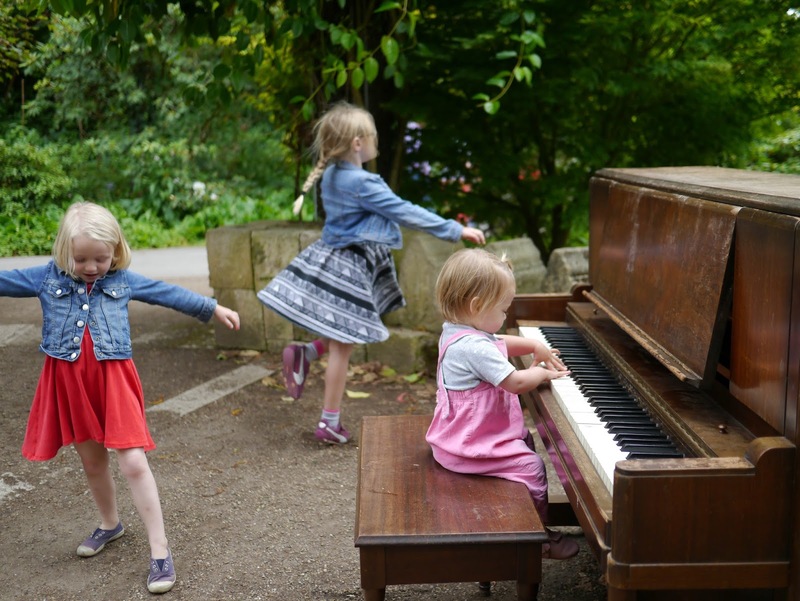 Then when it was their turn they tried their best to make some actual music! 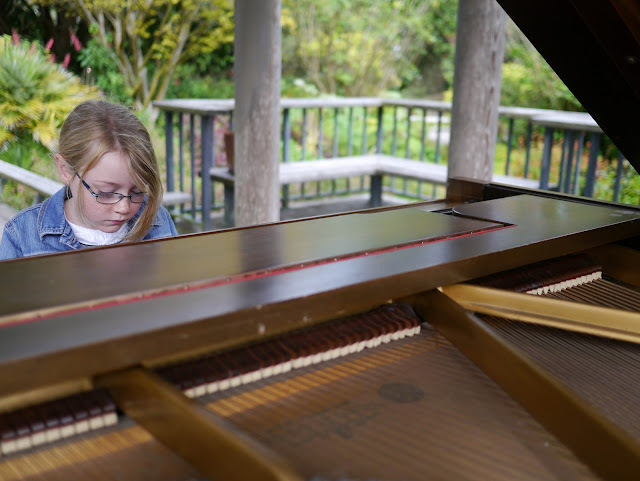 Ava looked so serious playing the piano. She had such a look of concentration on her face. 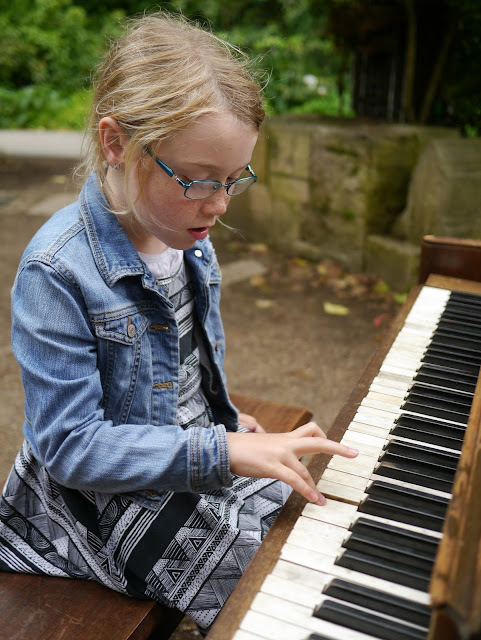 When we were in Adelaide recently, Ava's best friend Milla had taught her a few bars "Heart and Soul", that piano duet that everyone learns when they're first starting out. 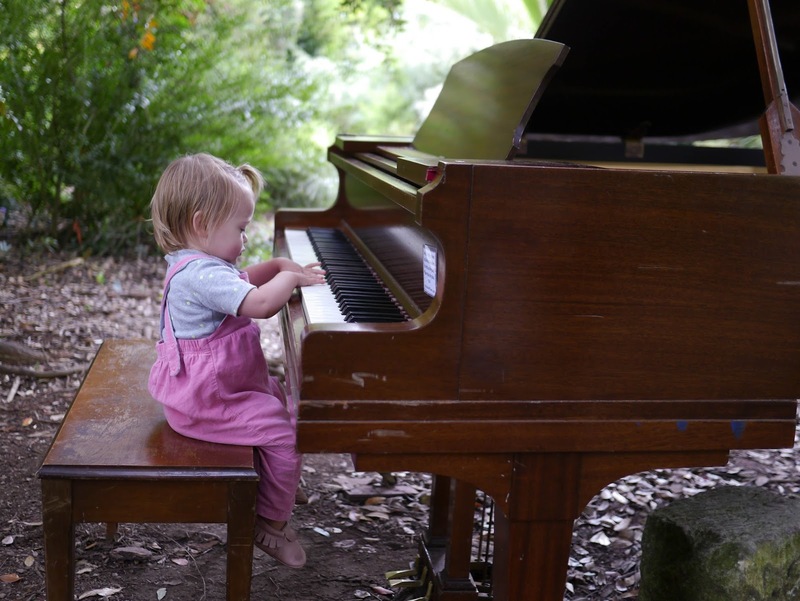 Ava didn't remember much of it, but it was clear what she was trying to play - even if it only lasted a few seconds! 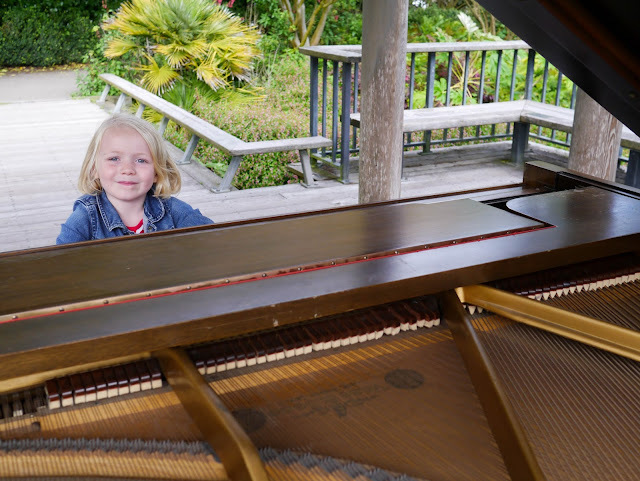 Lola tended to just kind of bash at the keys! She was all about getting as much noise out of the piano as possible. Somehow, Mathilde kind of look like she knew what she was doing! 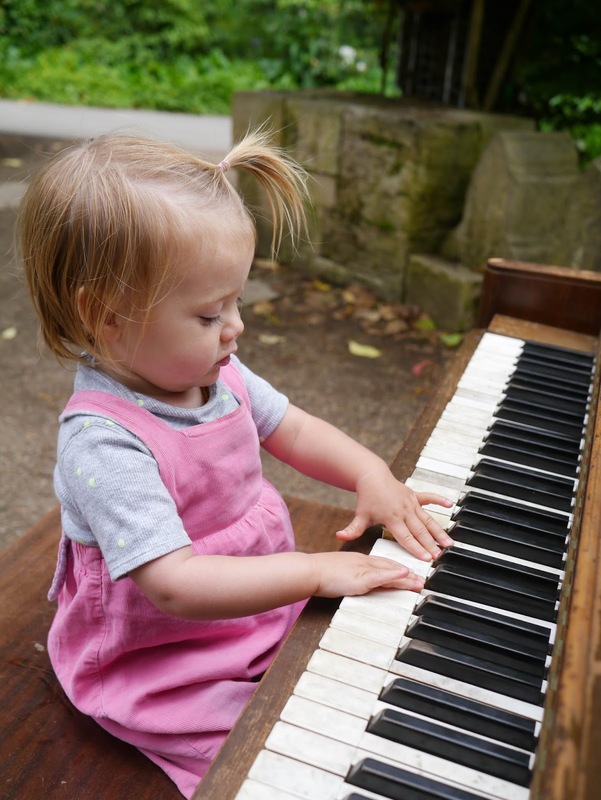 Most of the time she'd play one key at a time with her pointing finger, but every now and then she just mashed at the keys with her whole hand. The girls played duets together which was very cute. Some of these duets were planned. 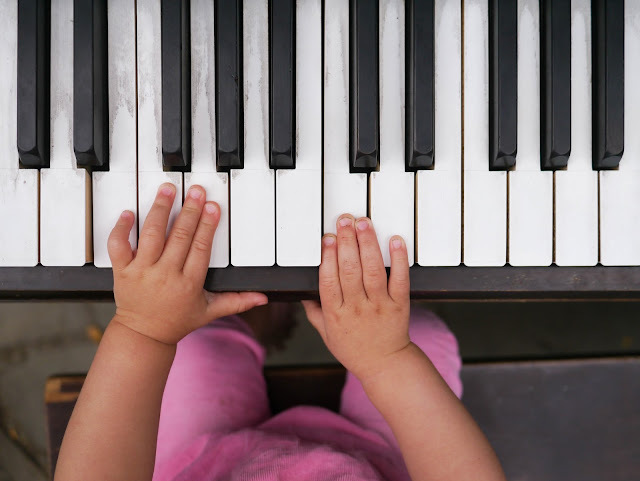 Others happened when little fingers sneaked up and started pressing the keys! There were upright pianos and baby grand pianos. Some had the lid open so the girls could watch what happens inside to make the noise. They were pretty fascinated watching the hammers hit the strings. This picture below had to be my favorite moment of the day. 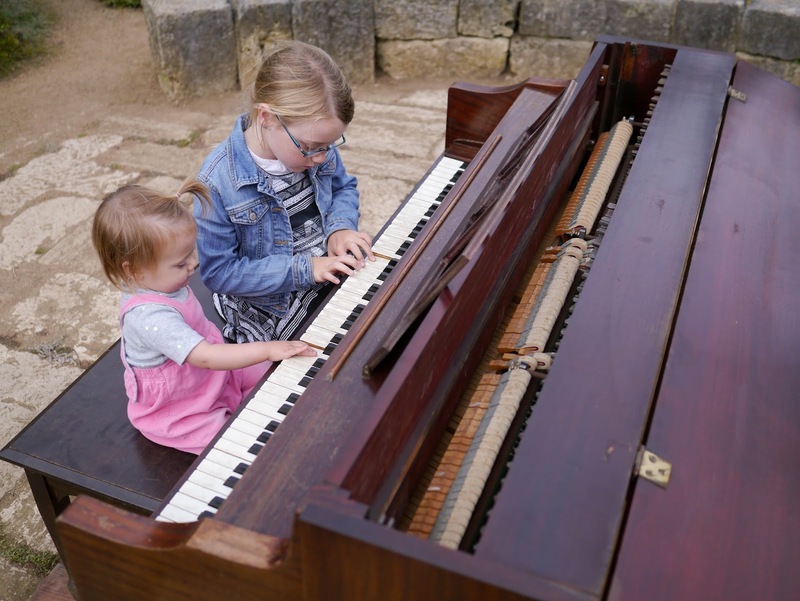 Mathilde playing the piano while Ava and Lola dance to her "music". It was so sweet. 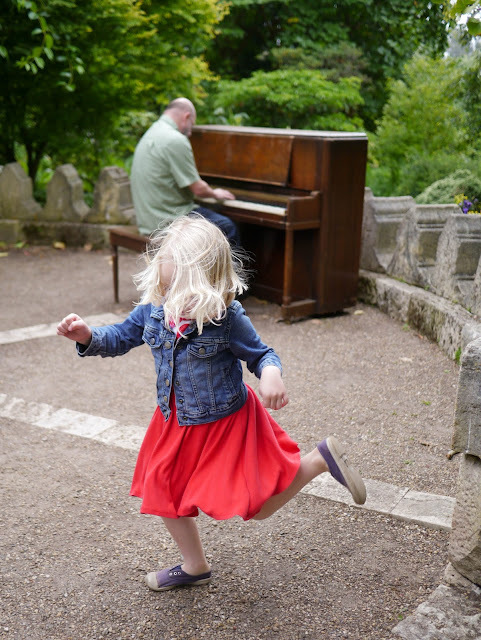 It makes me want to get the girls learning piano so they can have little dance parties at home! 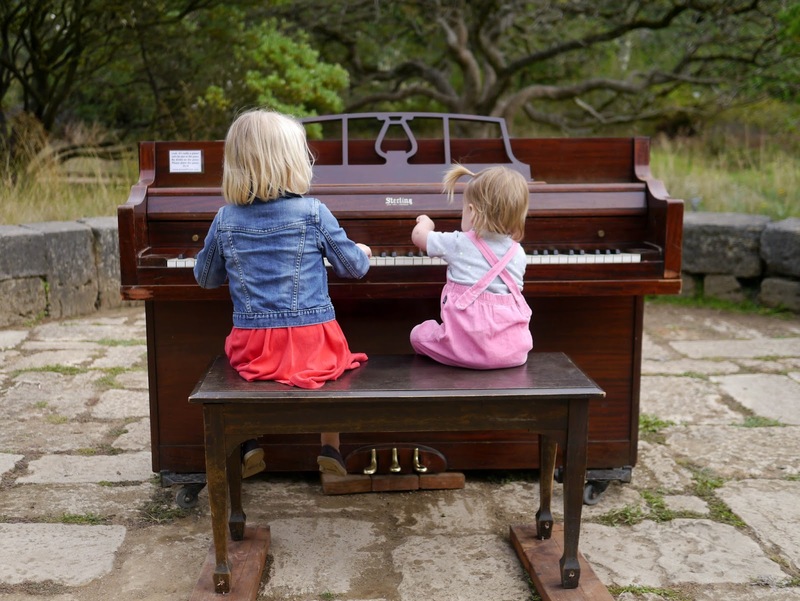 Flower Piano runs through July 20th 2015. On Saturday and Sunday there will be performances throughout the day. For a full schedule, hours and admission prices visit the San Francisco Botanical Gardens website here. 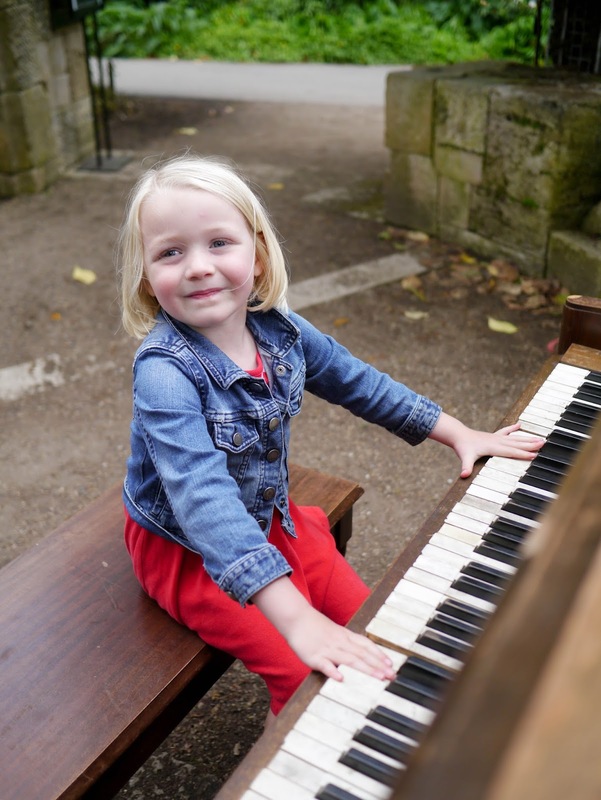 Oh, and there's not a piano in sight in these last two photos from today but I just had to include them because they're so cute - and it's rare to get a photo of Lola smiling rather than pulling duck-face at the camera! Most digital piano homeowners need the texture of associate degree acoustic piano. 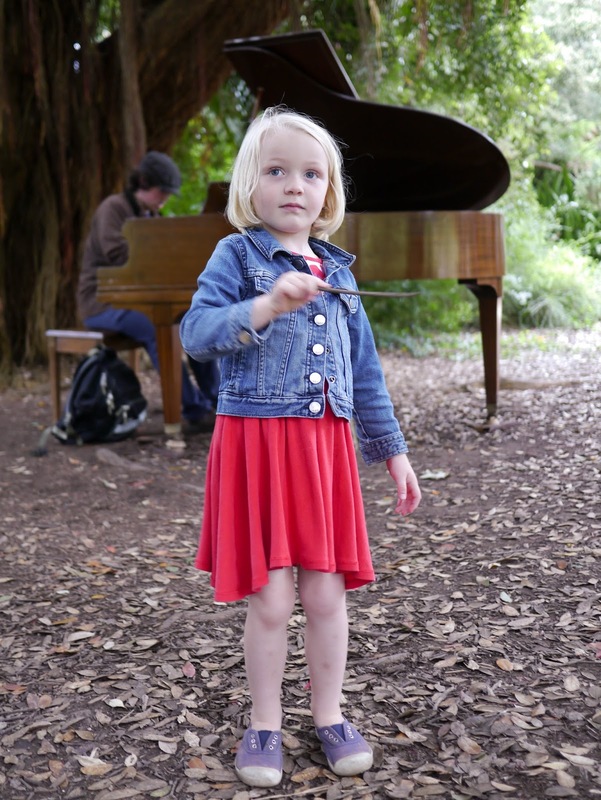 several have weighted keys that mimic the hammer hanging action of acoustic pianos.